When I was considering becoming Orthodox, a friend and fellow historian of African-American religion asked me if I understood how much Orthodoxy fit the aspects of African-American religion that had most personally interested me over the years. Several months earlier, an Orthodox monk had remarked to me how attuned he thought Orthodoxy was to the traditional spirituality of black people. Both comments took me by surprise. I had been so absorbed in the details of my own individual path toward Orthodoxy that I had failed to notice the forest for the trees, to discern the overall pattern my life was taking. Gradually after my chrismation, I began to reflect more generally upon the relationship between the faith of Ancient Christianity that had claimed me and the religious traditions of my people whose history I had been researching, writing, and teaching for the past twenty-five years. 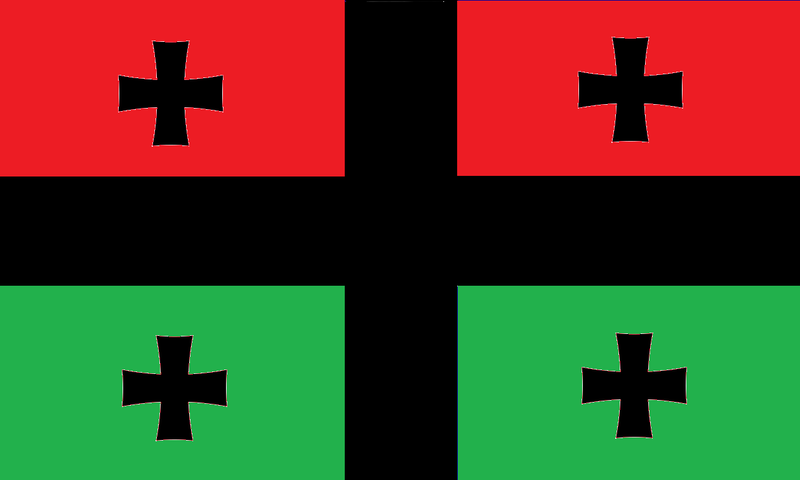 Since there are so few black Orthodox, it seemed like a lonely task. 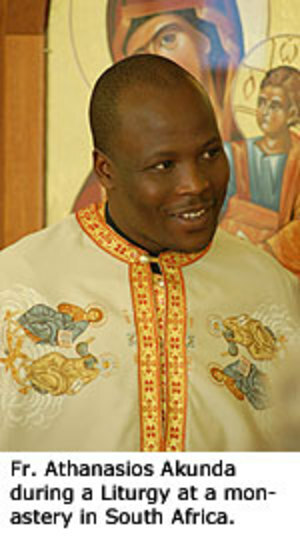 Providentially, a friend informed me of the conferences on Ancient Christianity and African-Americans, the purpose of which is to gather people from around the country to discover – in the context of prayer and the Divine Liturgy – the deep affinities and resonances between Orthodoxy and African-American spirituality. The resonances or points of convergence between Orthodoxy and African-American spirituality are profound. The first resonance is historical. Ancient Christianity is not, as many think, a European religion. 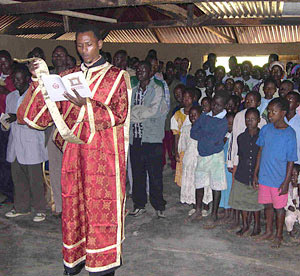 Christian communities were well established in Africa by the third and fourth centuries. 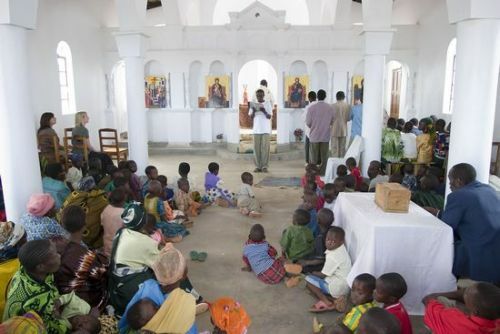 In Egypt and Ethiopia, Coptic traditions of worship, monasticism, and spirituality have remained authentically African and authentically Christian down to the present day. The second resonance is spiritual: there are important analogies between African traditional religions and Orthodox Christianity. In classical theological terms, these analogies constitute a protoevangelion: a preparation for the Gospel based on God’s natural revelation to all peoples through nature and conscience. 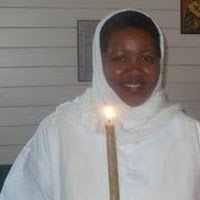 I would distinguish eight principal areas of convergence between African spirituality and Ancient Christianity. Traditionally, African spirituality has emphasized the close relationship, the “coinherence” of the other world and this world, the realm of the divine and the realm of the human. The French poet, Paul Eluard expressed this insight concisely when he said, “There is another world, but it is within this one.” Orthodoxy also emphasizes the reality and the closeness of the kingdom of God, following the words of Jesus, “The kingdom of God is within [or amongst] you.” Indeed, the closeness of the heavenly dimension is graphically symbolized in Orthodox churches by the iconostasis, the screen which stands for the invisibility that keeps our visible eyes from perceiving the heavenly kingdom already present among us behind the royal doors. The icons hanging upon the iconostasis serve as so many windows upon this invisible, but ever present world, as do the lives of the saints that the icons represent. In both traditions, ritual is understood to be the door that allows passage between the two worlds to take place. Traditional African religions depicted the other world as the dwelling place of God and of a host of supernatural spirits (some of them ancestors) who mediated between the divine and the human and watched over the lives of men and women, offering, when asked, to protect people from harm or to provide favor on their behalf. Orthodox Christians believe in the power of saints, ancestors in the faith, to intercede with God for us and to protect and help us in time of distress. African spirituality values the material world as enlivened with spirit and makes use of material objects that have been imbued with spiritual power. Orthodoxy sees the world as charged with the glory of God and celebrates in the feast of Theophany the renewal of the entire creation through God becoming flesh in the person of Jesus. Orthodoxy also appreciates the holiness of blessed matter, and uses water, chrism, candles, icons, crosses, and incense in the celebration of the Divine Liturgy and the Holy Mysteries (Sacraments). The person in traditional African spirituality is conceived not as an individualized self, but as a web of relationships. Interrelatedness with the community, past as well as present, constitutes the person. Orthodox theologians speak of the person as being radically interpersonal, a being in communion, ultimately reflecting the interpersonal nature of the Divine Trinity. And the corporate character of Christian identity is grounded in the reality of the Mystical Body of Christ. African religions speak of human beings as the children of God, who carry within a spark of God or “chi,” a bit of God’s soul that animates the spirit of each man and woman. Orthodoxy, following Genesis, teaches that we are created in the image and likeness of God and that it is our basic vocation to be “divinized,” becoming more and more like the image in which we are created. African spirituality does not dichotomize body and spirit, but views the human being as embodied spirit and inspirited body, so that the whole person body and spirit is involved in the worship of God. 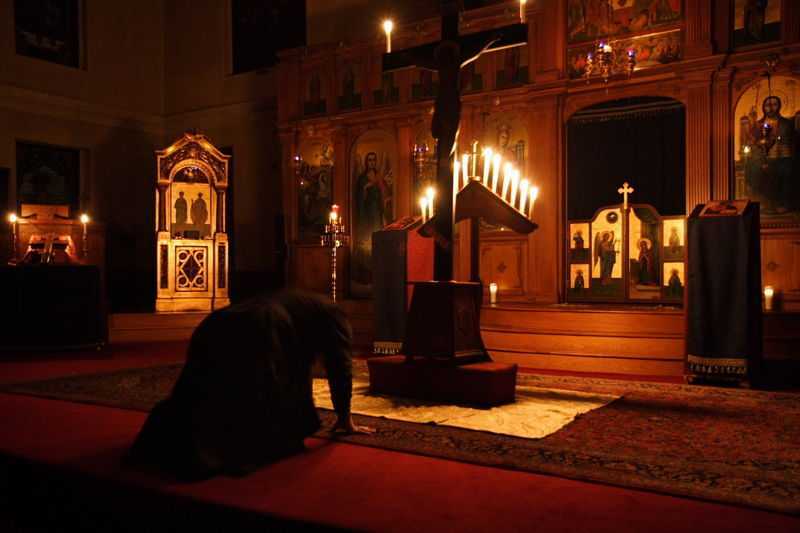 Orthodoxy also recognizes the person as embodied spirit and stresses the importance of bodily gestures, such as signing the cross, bowing, and prostrating, in the act of private and public prayer. Worship in African-American tradition is supposed to make the divine present and effective. In ceremonies of spirit-entranced dance, the human person became the representation of the divine; and divine power heals and transforms. In Orthodox worship, God becomes present to His people, most powerfully in the Eucharist as the Holy Spirit changes bread and wine into the body and blood of Christ and as those receiving Christ in Communion become more and more healed and transformed. The African-American spirituals placed a strong emphasis on a tone of sad joyfulness that reflected African-Americans’ experience and their perspective on life. In Orthodoxy, the sad joyfulness of the liturgical chant tones poignantly expresses the attitude of penthos or repentance which characterizes the Orthodox Christian’s attitude toward life. 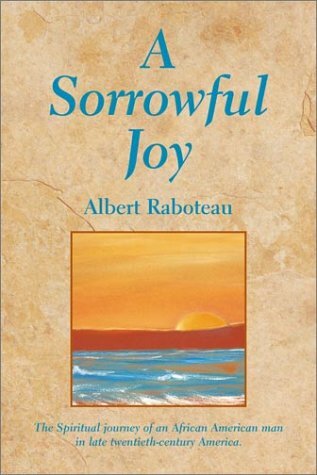 This tone of sad joyfulness relates directly to the third major area of analogy between African-American spirituality and Orthodox, the experience of suffering Christianity. Ancient Christianity prized the gift of martyrdom, the witness through suffering even death itself for the truth of the Christian gospel. Paradoxically, Christians throughout history have seen periods of martyrdom as periods of spiritual vitality and growth. “The blood of martyrs is the seed of faith.” Suffering Christianity, following in the pattern of Christ and the saints, has been for Orthodoxy a mark of the authenticity of faith. African-American Christians have offered a prime example of suffering Christianity in this nation and have understood their own tradition as an extension of the line of martyrs from the days of the ancient Church. 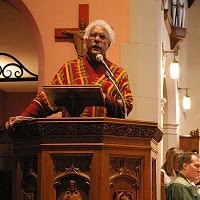 One of the classical liturgical expressions of African-American religions is the “ring shout,” a counterclockwise, shuffling movement in which the shouters move round in a circle to the driving rhythms of counter-clapping and steadily repeated song which bring all present into one accord. The style of movement and the religious impulse behind the ring shout go back to the ancestral homelands of those Africans carried to America by the Atlantic trade in slaves. 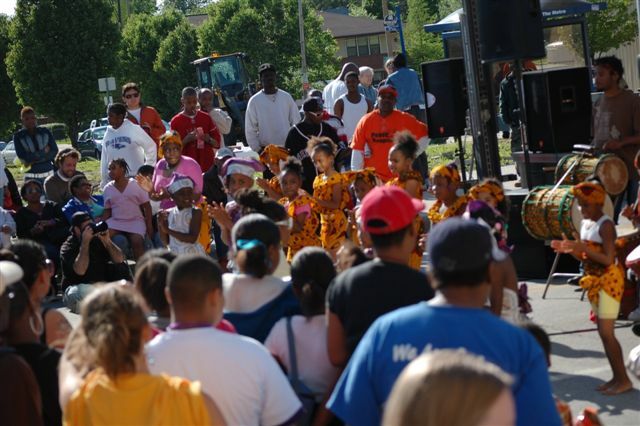 The danced circle may stand for us as a symbol of the steadfast faith of African peoples – through slavery and oppression – that all human beings are created in the image and likeness of God. Ancient Christianity does not break that circle, but brings it to amazing fulfillment in the endless circle of love flowing continuously between the divine persons of the all-merciful Trinity, Father, Son, and Holy Spirit. In November 1987, a group of interdenominational and multiracial Christians formed a ministry called “Reconciliation Ministries” in the “inner-city” of Kansas City, Missouri. 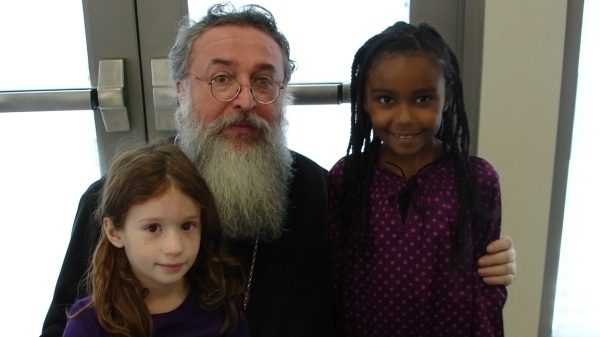 What began as an outreach to help the physical needs of the neighborhood gradually emerged into an Eastern Orthodox Christian community, known as St. Mary of Egypt Orthodox Church. Creating such a buffer has been the byproduct of this group seeking to simply put into practice the teachings of Jesus. Despair, violence, chemical dependency, abuse of all kinds had touched the lives of both those they were serving, as well as some of the volunteers. As these issues surfaced, they began to search for deeper answers. 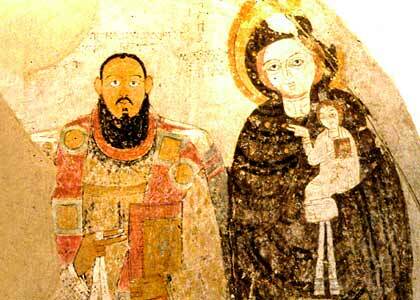 It resulted in discovering for themselves the ancient wisdom of the African desert fathers and mothers. They began to apply their advice on prayer, how to deal with one’s own spiritual blindness, and how to be restored when one’s emotions and desires were disordered. The community little by little was being led to the path of the ancient Orthodox Church. They drew inspiration from the ancient Egyptian monastics, the writings of The Philokalia, and the lives of the holy ones from the Northern Russian forests. In addition, the many saints in urban areas that had combined inner prayer with works of mercy provided models for the kind of Orthodox community they were seeking to become. 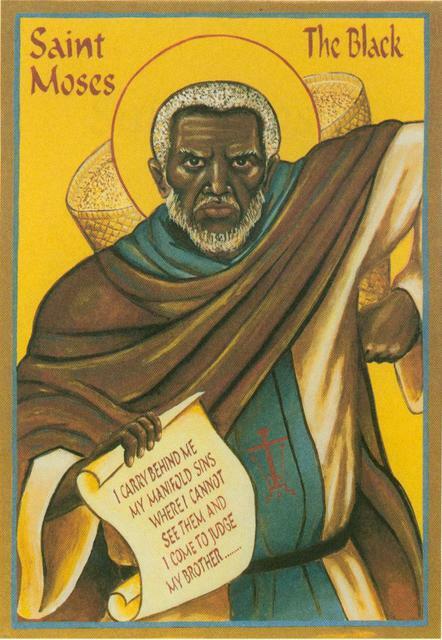 St. Moses the Black was a 4th century gang-leader along the Nile that had become one of the desert fathers. St. Mary of Egypt was a 6th century prostitute that left her way of life to spend 47 years in the same desert where St. John the Baptist lived. These radical transformations are but two examples of the deep changes wrought through this ancient path. As the group continued to search through the lives of African saints, they were introduced to hundreds of other examples of inspiration. In 1993, their core community became Orthodox. 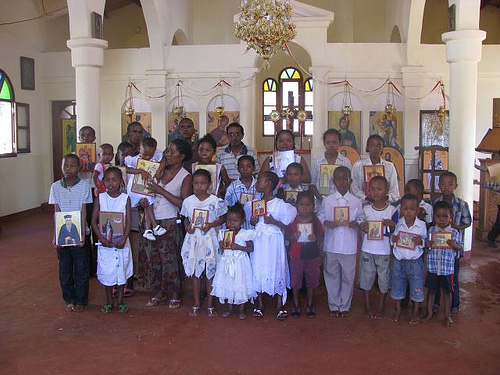 Each year more and more have been baptized and chrismated. Since then, they have sponsored ten conferences on Ancient Christianity and African America. A book was published from various lectures after the fifth of these conferences, entitled An Unbroken Circle. The conferences have pulled from the depth of faith derived from the African-American experience of suffering and sanctity and linked it with the suffering of the early Christians. The result has been to show the place of Orthodox Christianity in African America today and the wealth of heritage waiting to be tapped from the Church in Africa. 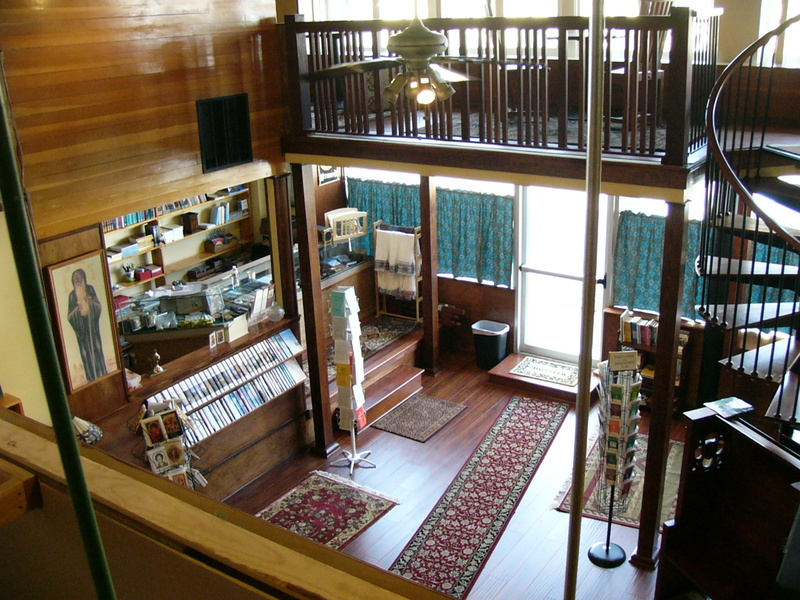 The church operates a bookstore called Desert Wisdom Bookstore, specializing in ancient Christian texts and books on African Christianity. A book and price list is available upon request. During the day, free daily bread, soup and tea is served to those that drop by the bookstore. 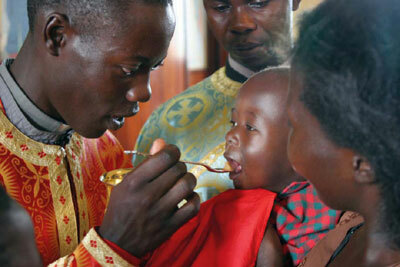 The life at St. Mary’s is centered on the daily cycle of Orthodox prayer and Church services. The church is on the third floor of their four-story building. The daily prayer life is indeed the cement that binds the works and individuals together. Classes are held on Friday evenings at 8:00 P.M. followed by the Coffee House at 9:00 P.M. Themes vary from Bible Study, based on the perspective of the ancient Fathers or introductory topics to ancient, Orthodox Christianity. To see the entire schedule of classes and services, click here. St. Mary of Egypt Orthodox Church is under HH Patriarch PAVLE of the Serbian Orthodox Church. Its bishop is HG Bishop LONGIN of new Gracanica Metropolitanate of U.S.A. and Canada. I am so glad I found your site! I am on a path that may lead me to convert to Orthodoxy or at least let me be a better informed Baptist. Thank you for your comments, and from Mode of Life we wish you all the best in that journey of self-discovery, for it is not an easy task to engage. Locating this article on which you comment on was in itself like a difficult journey, since information about African-Americans within the Orthodox Church was scant. But our curiosity was inspired when we had read an article in Greek about a group of black Jamaicans in the region of Philadelphia, who had sought to become Orthodox, while some even entered into the priesthood. Then just as mysteriously, it was as if they disappeared from the pages of history due to the absence of information about what they did or where they went after these events of conversion. 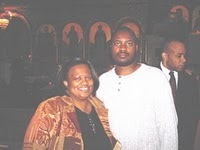 Then we stumbled across a Roman Catholic website which ran an article claiming that numerous African-Americans sought to enter into the Orthodox Church and thus re-discover their Christian roots. This matter further fed our curiosity, because our exposure to people of African origins were to those who were directly from Africa and had come as migrants or are the children of migrants (which is very unlike the American context). Our experience of course is based in associating with those in Australia, the Middle East and those who were from Greece, or had married into Greek families. It was interesting to observe that in terms of mindset, outlook and behaviour (phronema), how Africans and Greeks were on the same wave-length, even at the spiritual level, and were able to understand and integrate into each other’s cultures and communities quite easily, (-Irrespective whether it was in Africa, in Greece or in Australia). But we thought about what was the situation within America, where there had been an exposure and interaction between both communities for quite a considerable amount of time, for those same Jamaicans who became Orthodox, were worshipping initially within Greek Orthodox parishes before they dissappear from the pages of history. However it seems that such an interaction did not happen to the extent that had occurred elsewhere in the world, given the US’s history of segregation, forced acculturation and the simple need to survive by both communities, seems to have diminished that opportunity for cultural exchange. It seems that the Greeks were in an unusual position whereby they were not accepted by “white” Americans for not being “white”, while the black Americans did not welcome them because they were not “black”. As for those Greek Americans, the blacks were viewed as competitors for the same jobs which were open to both, since neither could secure the jobs offered to “white” Americans. The Greeks like the Armenians, the Lebanese, the Jews and the Italians seemed to have taken the opportunity to find an alternate way out of their predicament by saving their money and establishing their own businesses, so as to gain employment and fund the welfare and betterment of their families and communities. Yet admittedly, the Americans of African descent in the U.S., (and similarly in Canada and the West Indies) do not resemble to a great degree their African counterparts in terms of temperament (phronema) as they do in other parts of the world. And so that cultural affinity that may have existed between Africans and Greeks in other parts of the world, was not really present within the American context, and so there was an “alienation” between the two. This may be due to the African-American’s particular history in the U.S. context, and the forcible dislocation from their place of origins, first being captured by other African tribes and sold by them onto West European slave-traders who were in dire need for manual labourers in their various American colonies. Then the process of segregation, “acculturation” and so forth within the U.S., brought about the attempt to sever those links with Africa, and merely make the American African as a black reflection of their Anglo-American counterparts. Yet there were tenacious efforts by African-Americans to preserve various elements of their heritage, usually through song and dance, which of course brought about the merging of America’s unique cultural elements to produce music that is uniquely American such as jazz, swing and so forth. It may seem ironic to the secular phronema, that through suffering, humans tend to produce and give voice to “art-forms” full of vitality (even the creation of new art-forms) by drawing upon inspiration from the past and from a historical tradition, thus enriching our lives and human culture in general. However to the Christian this is not something surprising, since the creative element drawn from that divine image in which God created us in, often turns the most desperate and dehumanising of circumstances from defeat into victory; And in the process creates something new and full of vitality from the ashes of the past and becomes a story of inspiration for us all. To the Orthodox Christian, this is what we call the dynamism of tradition, which is not a dead or static thing, but is a living reality which draws inspiration from the past and bestows another expression of that heritage within its contemporary context. The poet Zissimos Lorenzatos captured that idea perfectly when he proclaimed that, “to be original, one has to be faithful to the origins”. And it was to this that many of those elders within the African-American context sought to achieve. But with dislocation and persecution, many charlatans appear, who claim to be saviours or have discovered the truth, but mislead many in their ideas of grand delusions, or fan the flames of hatred causing people to develop strange cults and psychological complexes. Because of this unusual history, the African-American is confronted with a plethora of so-called movements that claim to help them re-discover their roots or to segregate them from the wider American society. Such movements like the “Black Israelites” or the “Black Muslim brotherhood” (which has no real link with authentic Islam), or some “charismatic figure” in New York who presently claims that a war needs to begin within the U.S. since blacks and non-blacks cannot live alongside of each other…(There are of course many more examples fom which we can draw upon, but that is a topic for another discussion). But within these musings, Christianity is often painted as a “white-man’s” religion and has no connection to African history or culture, and so these pains of history are played upon by “ghetto and gang culture” which are nothing more than a reflection of the “gang culture” of the American colonial settlers. Consequently, many African Americans have, or are being, led astray from the truth of the Gospel, to worship false idols which claim to give them comfort or answers and solutions to their everyday problems; when in actual fact the beginning of the solution can easily be found within themselves, and that legacy of dislocation does not have to be a burden, but a celebration of their triumphs against adversary. Yet we are a voice from afar observing these developments, which gives us some objectivity and credibility in perspective. 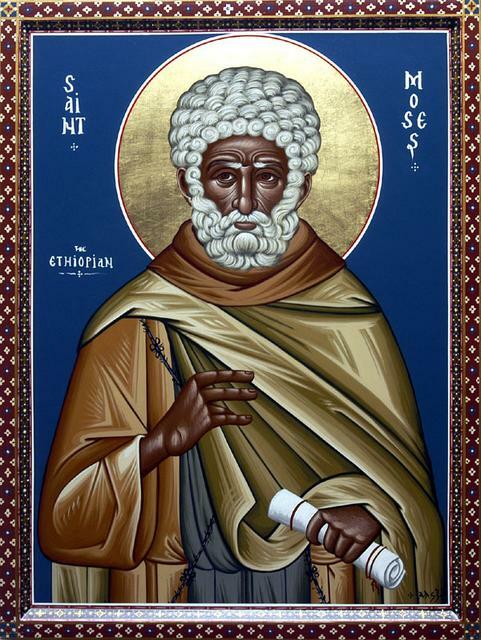 We are thus interested by this development of African-Americans seeking to rediscover their roots within Orthodox Christianity and not in Islam, “ghetto culture” or cults which seek, or are used, to justify further hatreds and phyletism. Such things are counter-productive to the general well-being and happiness of people, for such things grow like cancers within a person and destroy the beauty and enjoyment of life. 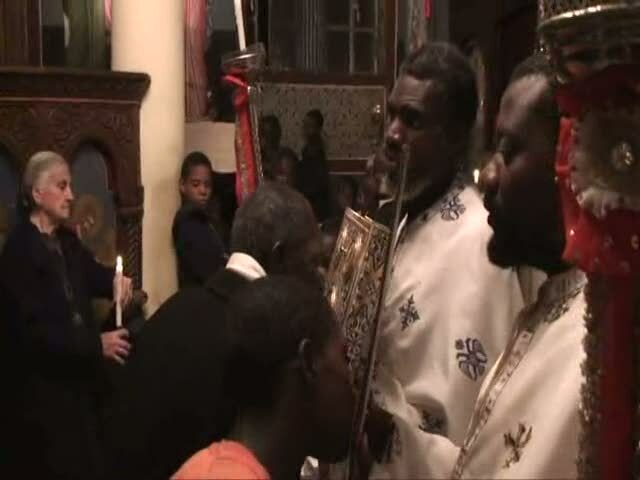 This search for Orthodox Christianity is a gratifying and heart-warming occurrence, for with the Arab conquests of North and East Africa, that link we fellow Orthodox had with our African brethren was broken, and to see the re-emergence of this African presence and its unique cultural heritage within our Church is a most wonderful and welcomed thing. 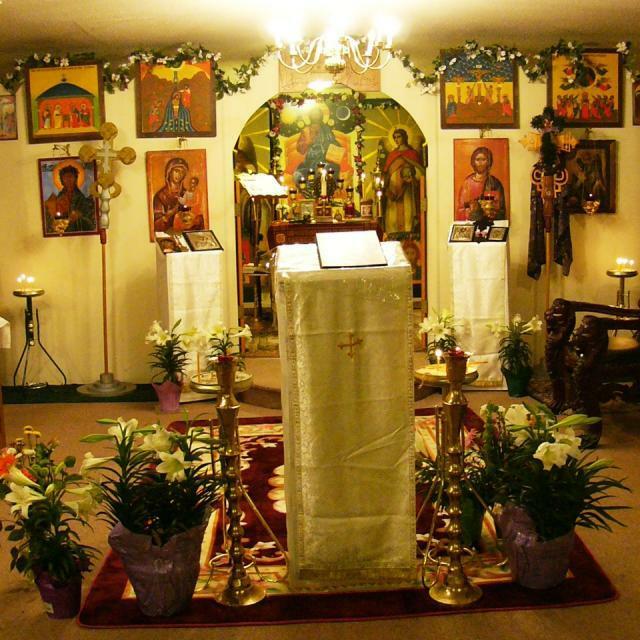 We only hope and pray that many more will engage within such a search as you are taking, and even if they do not become Orthodox, at least may attain an appreciation of it; for it is like visiting the gravesite of one’s forefathers who we thought was long-lost and wept over their absence. But when we discover it, we rediscover and find our own identity and heritage. And even though these dearly departed may not be with us physically, they are still alive and well within our hearts and in the memory of God. Therefore learn what you can and teach other African-Americans that their heritage as Christians did not begin from slavery. This heritage of the “slave experience” is merely the more immediate history and exposure to the Gospel, which gave many generations of African-Americans the experience and insight into the meanings of Christ’s own suffering, as well as His teachings about the creative power of suffering, affliction and endurance, which humbles us and makes us more attentive to the word of God. This information on the history of the Eastern Orthodox Church that Christ built is excellent for those of African American background and the Greeks who love the Lord. This proves that Jesus Christ and His Disciples were very concerned about the souls of the African brothers and sisters. 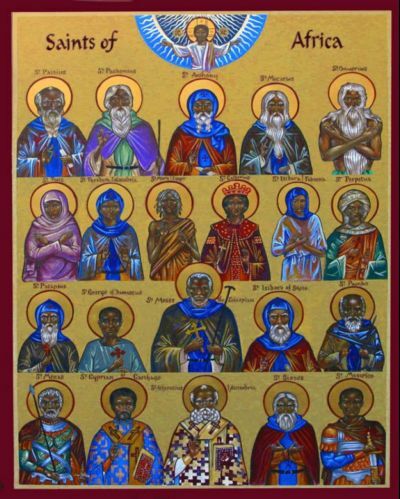 There were multitudes of Africans in the Early Church. Many are rejoicing and awaiting in celestial Paradise for many to come. Many people of all nations will gather in the New Jerusalem after the Final Judgment.